Hushwing Café is there today and next on Monday, November 11, and a different pop up café will be there each Monday, offering food and warming drinks. Visitors can also enjoy the shopping of Dalegate Market, for clothing, jewellery, accessories, presents, binoculars, telescopes, wildlife watching kit, pottery and art. Dalegate Market has been embracing the pop-up shop culture for many years with the very popular Deepdale Christmas Market in December and Deepdale Outdoor and Wildlife Festival in May. The search is on for other pop-up cafes to supply food and drink on Mondays throughout the winter and pop-up shops for next year. All the popup shops on offer at Dalegate Market will be listed on www.dalegatemarket.co.uk, on posters at Dalegate Market and across the internet. 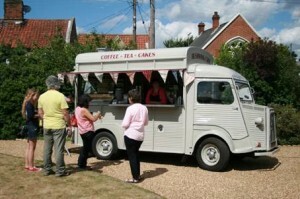 Applicants wanting to run a popup shop or cafe should also visit www.dalegatemarket.co.uk and fill out the online form. If you can’t wait until the popup shops in 2014, then the Dalegate Market shops and cafe are open throughout the winter and they welcome over 70 stalls to the Deepdale Christmas Market on December 7 and 8.